Alice Munro mines her rich family background, melding it with her own experiences and the transforming power of her brilliant imagination, to create perhaps her most powerful and personal collection yet. A young boy, taken to Edinburgh's Castle Rock to look across the sea to America, catches a glimpse of his father's dream. Scottish immigrants experience love and loss on a journey that leads them to rural Ontario. Wives, mothers, fathers, and children move through uncertainty, ambivalence, and contemplation in these stories of hopes, adversity, and wonder. 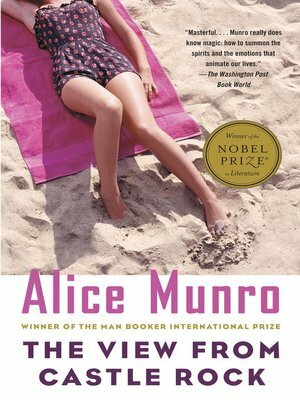 The View from Castle Rock reveals what is most essential in Munro's art: her compassionate understanding of ordinary lives.